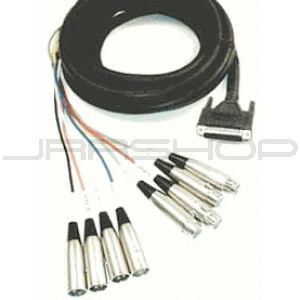 JRRshop.com | Hosa DMP-235 AES/EBU Breakout Snake 16.5 ft. The Hosa DMP-235 is a 16.5' (5 m) DB-25 to four (4) male 3-pin XLR and four (4) female 3-pin XLR breakout snake for Tascam and Panasonic recorders. AES / EBU Breakout Snake: Compatible with Tascam and Panasonic. 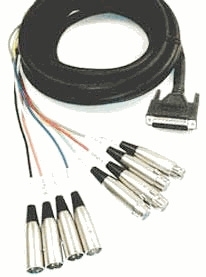 AES / EBU Snake, 25-Pin D-Sub to 4 XLR Male and 4 XLR Female, compatible with Tascam, 16.5 ft..